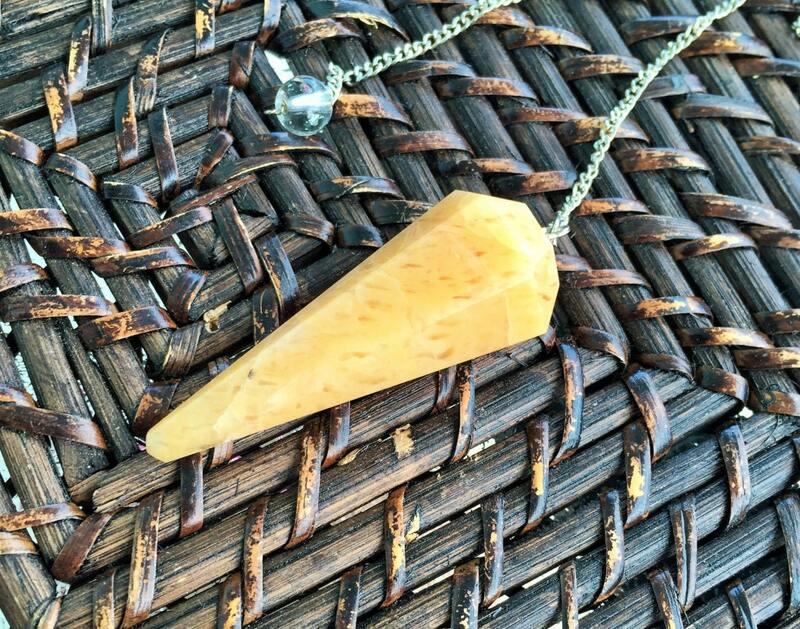 This peach pendulum has areas with clear spots which makes it look so beautiful! 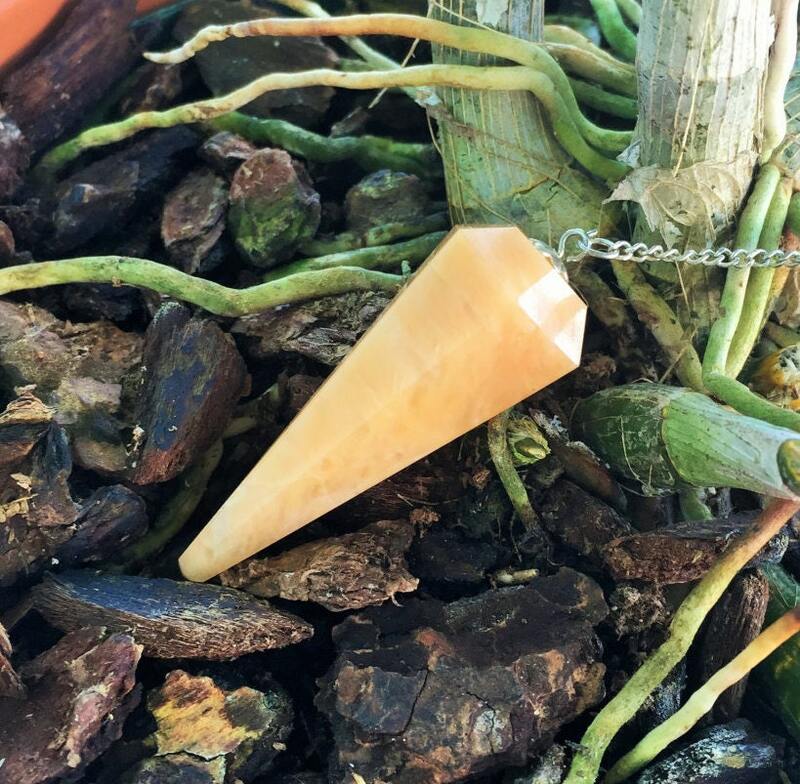 This crystal is great for opening and balancing the Sacral and Solar Plexus Chakra. 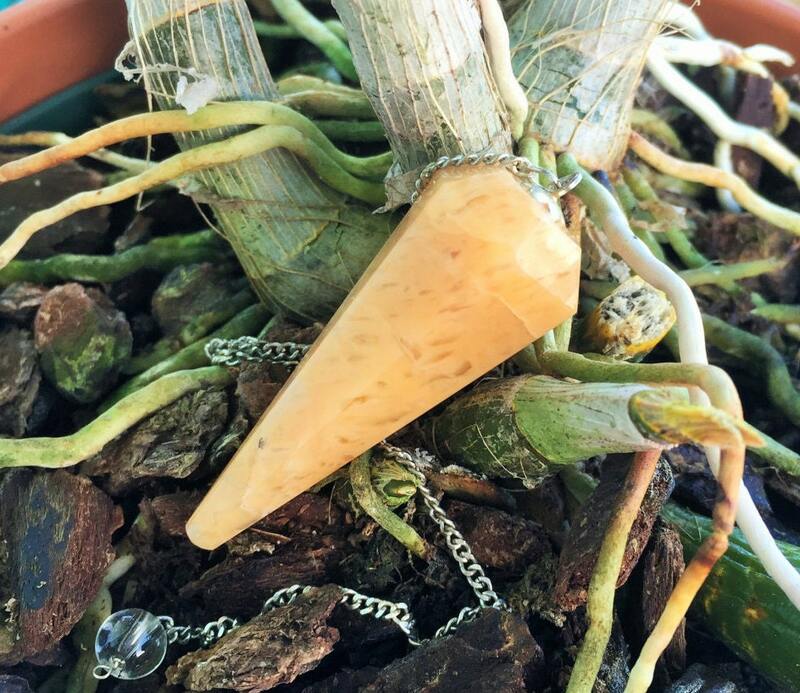 Lovely piece but shipping took a bit and there was quite a bit of exposed glue at the top of the pendulum where the chain connects that I had to personally scrape off.